Cape Town: No Day Zero for 2019! update (11 July 2018): The City of Cape Town has released an informative video regarding the "Day Zero" postponement! The City of Cape Town is confident that there will be no prospect of reaching Day Zero in 2019. According to a statement by Executive Deputy Major Alderman Ian Neilson, the levels of the dams supplying water to Cape Town have been rising consistently and significantly over the past six weeks. As at today (28 June 2018), total dam storage capacity is at just over 43%, and Cape Town and the surrounding region are expecting more than two more months of winter rainfall. The drought, however, is still ongoing, and the City of Cape Town also announced that its stringent water restrictions are to be maintained. 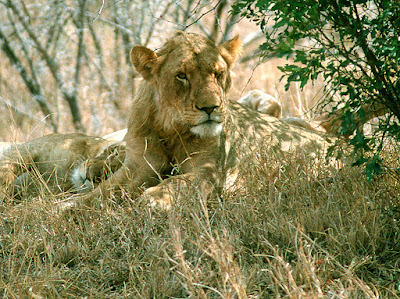 Kruger National Park Calendar - August! Victoria Falls: 2018/19 white water rafting season on the Zambezi is finally open! The 2018/19 white water rafting season on the mighty Zambezi has been opened, so that high water rafting trips from Victoria Falls (Zimbabwe) and Livingstone (Zambia) are available again. 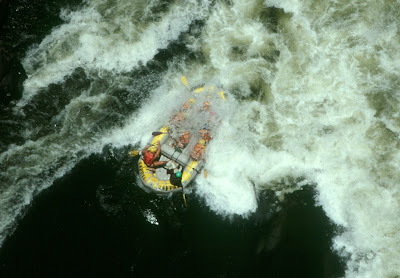 Due to the water level of the Zambezi, rafting during the high water season begins 10 km downstream of the Victoria Falls at rapid number 11 and finishes at rapid number 23. The white water rafting below the Victoria Falls is commonly recognized as the best Grade 5 white water rafting in the World. Air Tanzania to launch flights between Dar es Salaam <> Mumbai! The flag carrier airline of Tanzania, Air Tanzania, is set to introduce its first cross-continent flight outside Africa in September 2018. According to the online edition of the Daily News, a government-owned newspaper from Tanzania, the airline is planning to operate three weekly flights between Julius Nyerere International Airport (DAR) in Dar es Salaam and Chhatrapati Shivaji International Airport (BOM) in Mumbai, India. Air Tanzania will commence the new service once the airline's brand new Boeing 787-800 Dreamliner arrives in Tanzania anytime from August 2018. Durban: No more boarding calls at King Shaka International Airport! South Africa's third busiest airport, King Shaka International Airport (DUR) in Durban, follows the other eight airports in the country owned by Airports Company South Africa (Acsa) and stops passenger boarding calls in the departures check-in areas and boarding gates area at the airport effective 01 July 2018. Passengers are advised to check their boarding passes and the flight information display boards for boarding times. The only instances where centralised terminal announcements will be made will be for irregular operations such as gate changes, flight time changes, security matters, system failures and customer service anomalies such as lost minors. South Africa: No more boarding calls at six regional airports! 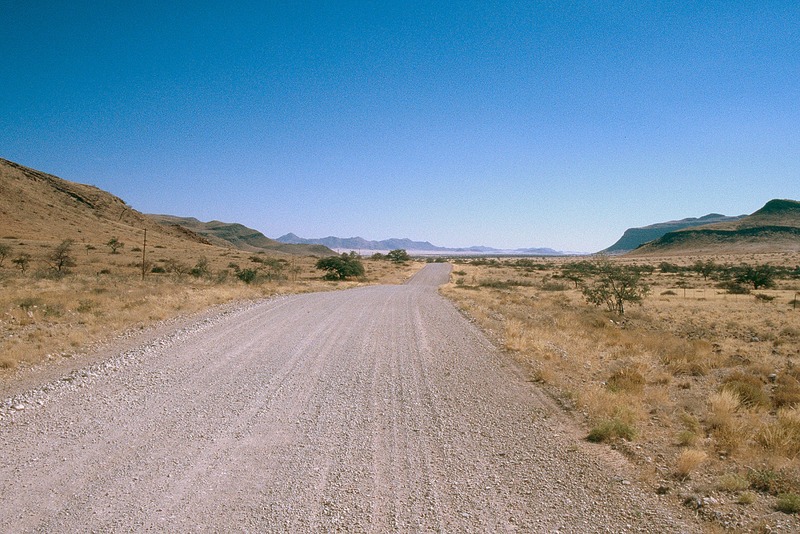 Namibia: Outjo renames five major streets! The late Salmon Salath //Hoeseb, a well-known journalist/radio presenter who worked for the Namibian Broadcasting Corporation (NBC), is also recognised with a new street in Outjo named after him. Cape Town: Fish Hoek's beachfront promenade gets a facelift! The beachfront in Fish Hoek, a coastal town at the eastern end of the Fish Hoek Valley on the False Bay side of the Cape Peninsula in Cape Town, is getting a facelift. The City of Cape Town recently commenced with the resurfacing of a 300-metre stretch of the Fish Hoek Promenade between The Galley restaurant and the lighthouse in Fish Hoek. The work is scheduled to take three months and entails the resurfacing of the main promenade and cross-paths, the installation of new benches and upgrading of the drainage at the railway subway at the end of Jager's Walk. Some stormwater drainage will also be improved. The work has little impact on the traffic in the area and is being implemented in phases. Areas where work is not actively taking place will be opened to the public to allow visitors to access the beach. Cape Nature: Free entry for kids during the school holidays (June/July 2018)! CapeNature, the public institution with the statutory responsibility for biodiversity conservation in South Africa's Western Cape, is offering free entry for children aged 16 and younger to all its 25 nature reserves along the West Coast, in the Winelands, in Overberg, the Cape Karoo as well as along the Garden Route and the Little Karoo during the current school holidays (22 June 2018 - 16 July 2018) in South Africa. Normal conservation (entry) fees apply to parents. 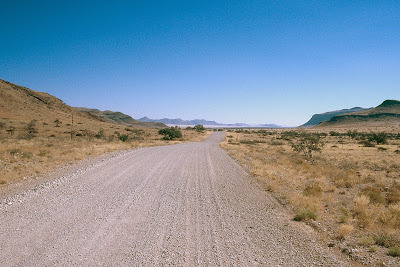 Namibia has the best roads in Africa! According to the Global Competitiveness Report 2017/18 by the World Economic Forum (WEF), Namibia has the best roads in Africa and the 31st best roads in the world with a score of 5.2 out of 7.0 (1 = extremely poor - among the worst in the world; 7 = extremely good - among the best in the world). Rwanda also scored 5.0/7.0, but the WEF ranked the country on 32nd position hence as the country with the second best road quality in Africa. Eswatini/Swaziland (4.7/7.0) has the continents third best roads (global rank 39), followed by regional powerhouse South Africa (4.4/7.0; global rank: 50). The Global Competitiveness Report is a yearly report published by the World Economic Forum. The report ranks countries based on the Global Competitiveness Index, which integrates the macroeconomic and the micro/business aspects of competitiveness into a single index. The Global Competitiveness Index 2017-2018 presents a framework and a corresponding set of indicators in three principal categories (subindexes) and twelve policy domains (pillars) for 137 economies. Namibia: Roads in the Zambezi Region set to be revamped after heavy rains & floods! The Roads Authority Namibia (RA) is set to repair and upgrade roads in the Namibia's Zambezi Region that were damaged by heavy rains and subsequent heavy floods. These include the roads between Ngoma <> Ibbu, Izimwe <> Nakabolewa, Namalubi <> Isize <> Luhonono and Singalamwe <> Kongola <> Liselo. The Roads Authority will only revamp affected roads which have already dried up and the flood water has completely receded. 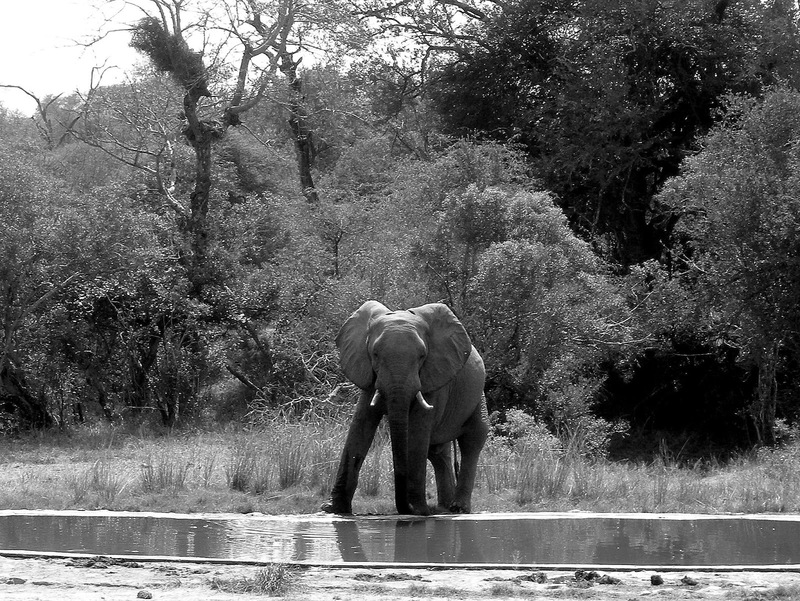 The Zambezi Region, until 2013 known as the Caprivi Region, is located in the extreme north-east of Namibia. Pretoria (Tshwane): Voortrekker Monument goes cashless! 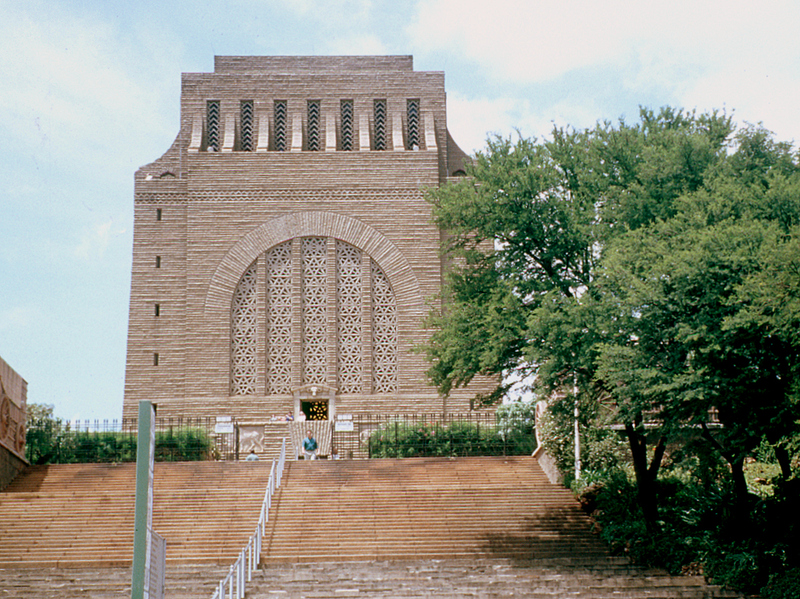 The management of the Voortrekker Monument Heritage Site in Pretoria (Tshwane), including the adjacent restaurant and gift shop, has implemented cashless systems on side. Visitors who only have cash on hand will not be turned away, but it is recommended by the management of the monument that visitors rather consider paying with either a debit or credit card or purchase tickets online prior to their visit. The Voortrekker Monument Heritage Site is situated in a nature reserve just south of Pretoria (Tshwane) in South Africa's Gauteng Province. The unique monument was inaugurated in 1949 and commemorates the pioneer history of Southern Africa and the history of the Afrikaner. It was declared a National Heritage Site by the South African Heritage Resource Agency in July 2011. Kruger National Park: Gate quotas in force during the coming school holidays (June/July 2018)! South African National Parks (SANParks) will enforce daily quotas for day visitors at the entrance gates to Kruger National Park over the coming school holidays starting on 23 June 2018 (Saturday) until 16 July 2018 (Monday). Through the day visitor quota for Kruger National Park SANParks aims to better manage the expected volumes of visitors, as well as to improve the visitors' expectations. SANParks has introduced three time slots, of which day visitos can choose from. It is advised to book a time slot prior to arrival, as pre-booked day visitors will get preference over non-booked day visitors at Kruger National Park's entrance gates. Day visitors who have pre-booked will still be required to pay conservation fees or use a valid Wild Card to enter Kruger National Park. The conservation fee for residents of South Africa is R83 per adult and R42 per child (between ages 2 – 11) and for international guests it is R331 per adult and R166 per child. All guests (drivers and passengers) may be required to identify themselves upon admission (SA driver's license, identity document or passport). South Africa: Airlink enhances Hoedspruit route! South African regional carrier, Airlink, has introduced further enhancements to its flight services between Johannesburg <> Hoedspruit and Cape Town <> Hoedspruit on 19 June 2018. Additionally, on 01 August 2018 the airline will add a second flight between Johannesburg and Hoedspruit, in response to market requests, for additional capacity and convenience. The current flight schedule on Saturdays and Sundays will remain the same, due to Hoedspruit Airport (HDS) operating hour constraints. The supplementary morning flights commencing on 01 August 2018 will depart Johannesburg at 09:50 and arrive in Hoedspruit at 10:50 Mondays to Sundays. The return flight will depart Hoedspruit at 11:20 and arrive in Johannesburg at 12:20. Hoedspruit Airport (HDS) is located just out of Hoedspruit in Eastern Limpopo. 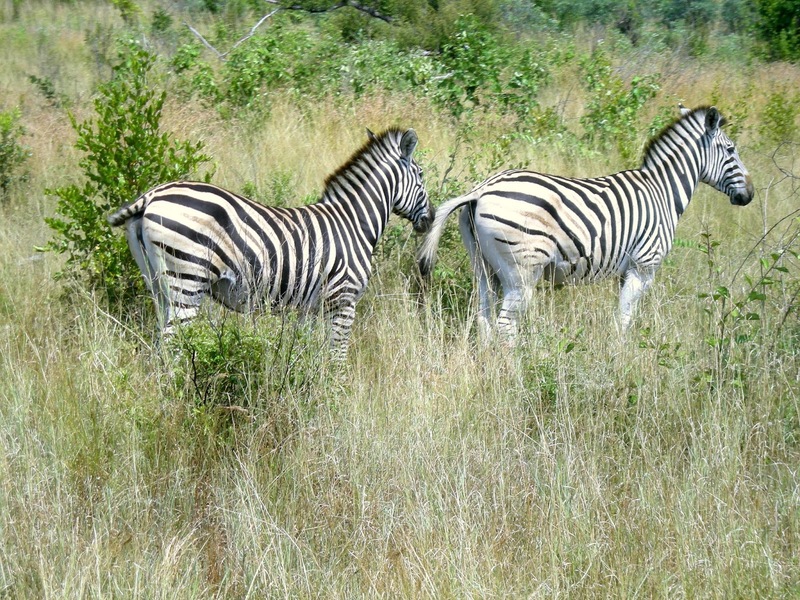 The airport functions as a convenient gateway to Kruger National Park, numerous private wildlife reserves and the towns of Tzaneen and Phalaborwa. Cape Town restaurant named Africa's best restaurant 2018! Cape Town's "The Test Kitchen", with acclaimed chef Luke Dale-Roberts at the helm, has just been named Africa's best restaurant 2018 and the World's 50th best restaurant 2018 at the The World’s 50 Best Restaurants 2018 awards, sponsored by S.Pellegrino & Acqua Panna, held at Palacio Euskalduna in Bilbao, Spain. The fine dining eatery's food is based on popular global dishes with South African ingredients and twists. "The Test Kitchen" is located in The Old Biscuit Mill on 375 Albert Road in Woodstock. The World's 50 Best Restaurants list is compiled from the votes of the World’s 50 Best Restaurants Academy, a group of 1,000 international restaurant industry experts and well-travelled gourmets. The Academy comprises 26 separate regions around the world, each of which has 40 members, including a chairperson. Letaba Rest Camp (Kruger National Park): Temporary closure of the swimming pool in the day visitor's area! South African National Parks (SANParks) just announced that the swimming pool in the day visitor's area in the Letaba Rest Camp in the Kruger National Park has been temporarily closed due to maintenance work from 19 June 2018. The pool will be closed until further notice. We'll keep you posted! Letaba Rest Camp is situated on a sweeping bend of the Letaba River, midway between the southern and northern boundaries of South Africa's oldest (proclaimed in 1898) and largest (20.000km²) National Park. Zimbabwe: Fastjet to increase flights between Harare <> Victoria Falls! Pan-African low cost-carrier Fastjet is set to increase flights between Robert Gabriel Mugabe International Airport (HRE) in Harare and Victoria Falls International Airport (VFA) in Victoria Falls by two additional frequencies from 02 July 2018. The additional flights will see the airline now serve the route with twice-daily frequency, 6 days a week, with the only exception on Saturdays where the schedule remains unchanged with one flight between the cities. The additional flights between Harare and Victoria Falls equates to a 85% year-on-year growth on the route. Zimbabwe relaxes visa regulations for travellers from China! Ethiopia's flag carrier, Ethiopian Airlines, is set to launch new flight services between Bole International Airport (ADD) in Addis Ababa and El Prat Airport (BCN) in Barcelona via Adolfo Suárez Madrid–Barajas Airport (MAD) in Madrid. Effective 01 July 2018, the airline will operate four weekly flights to Barcelona on board a Boeing 787– 800 Dreamliner. Barcelona is Ethiopian Airlines' 13th destination in Europe. Uganda: The "Kampala-Entebbe Expressway" has been officially opened for motorists! The President of Uganda, Yoweri Museveni, and the the chairman of the National Committee of the Chinese People’s Political Consultative Conference (CPPCC), Wang Yang, officially opened the new Entebbe–Kampala Expressway on 15 June 2018. The 51km four-lane toll highway links Entebbe International Airport (EBB), Uganda's main international airport, to Kampala, the country's capital. The new expressway is the country's first toll highway. It has 19 fly-overs and bridges with a total length of 2,770 metres; it also hosts the Nambigirwa Bridge, the longest four-lane bridge in Uganda and East Africa with over 1,400 metres. The Entebbe–Kampala Expressway was commissioned with assistance from Exim Bank of China, with a loan of $350m (€302.8m). Construction was done by China Communications Construction Company (CCCC) and supervised by Beijing Expressway Supervision Co. Ltd. (BES). Botswana: Free wifi at international airports! update (20 June 2018): The free wifi service at Botswana's four international airports is limited to 60 minutes! The Botswana Investment Trade Centre (BITC) and Botswana Fibre Networks (BoFiNet) have introduced free wifi at Botswana's four international airports, namely Sir Seretse Khama International Airport (GBE) in Gaborone, Kasane International Airport (BBK) in Kasane, Maun Airport (MUB) in Maun and Francistown International Airport (FRW) in Francistown. To access the service while at one of the airports, you have to select the "Go Botswana" network on your mobile device and fill-in a brief questionaire on the landing page. Kruger National Park: Mathekenyane Lookout Point temporarily closed for maintenance! The Mathekenyane Lookout Point, located on the Mathekenyane Koppie (385m) aproximately 11 kilometers south from Skukuza Rest Camp long the Pretoriuskop-Skukuza Road (H1-1, Napi Road) in the southern part of Kruger National Park, is temporarily closed for maintenance since 12 June 2018. The lookout point is scheduled to reopen on 22 June 2018. The Mathekenyane Lookout Point is known to be one of the best lookout points in Kruger National Park. 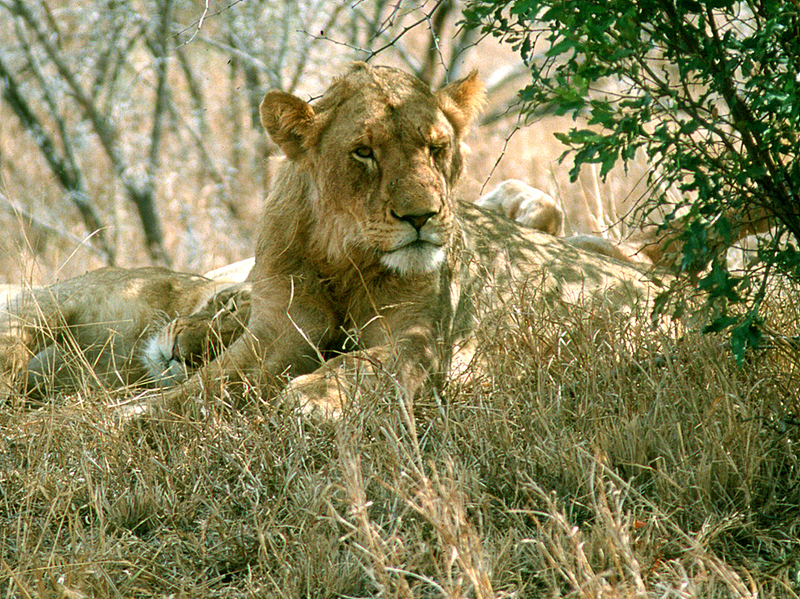 It is an excellent game viewing point that provides stunning views of the bush. Namibia Wildlife Resorts: Plastic bags ban still to be implemented (UPDATE)! update (18 June 2018): According to the spokesperson of Namibia's Ministry of Environment and Tourism (MET), the ban of plastic bags in national parks in Namibia is not yet being implemented as the ministry is still putting measures and systems in place before enforcement and full implementation. The MET confirmed that an amendment to the regulation relating to the Nature Conservation Ordinance, 1974 (4 of 1875) to restrict the use of plastic bags in national parks was approved and gazetted in 2017. Namibia Wildlife Resorts (NWR), the state-owned enterprise mandated to run the tourism facilities within the protected areas of Namibia, has informed its stakeholders that with immediate effect the usage of pastic bags is no longer allowed within the country's National Parks. We'll keep you updated as soon as more information are available. Dear Seb, the Ministry of Environment and Tourism is the one that banned the usage of plastics. We took it upon ourselves to inform our stakeholders. Cape Town: Museum Night returns to the V&A Waterfront! Cape Town's Museum Night is back. On Thursday, 28 June 2018, several museums and sites at the V&A Waterfront will be open from 17:00 until 22:00, offering free admission to the public, with a number of other attractions offering half price admission. The museum exhibitions are supported by an exciting programme of performances and walkabouts. You don't require tickets for Museum Night. Just arrive at the V&A Waterfront, decide on where you would like to start, and use the printed programmes available to find your way around from there. Etihad Airways to terminate operations between Abu Dhabi <> Dar es Salaam (Tanzania)! According to aviation specialists RoutesOnline, the flag carrier and the second-largest airline of the United Arab Emirates, Etihad Airways, is set to end its service between Abu Dhabi International Airport (AUH) in Abu Dhabi and Julius Nyerere International Airport (DAR) in Dar es Salaam at the end of September 2018 on 01 October 2018. The airline currently operates one daily flight on board an Airbus A320 aircraft to Tanzania's capital and return to the United Arab Emirates. During the final month of September 2018, Etihad Airlines will alreday beginn to gradually thin out operations between Abu Dhabi and Dar es Salaam. Cape Town Tourism has released a new episode of the "The Love Cape Town Neighbourhood series" featuring the historic town of Simon's Town, located on the shores of the False Bay, as well as an trip down to the famous Cape Point, a promontory at the southeast corner of the Cape Peninsula. Previous episodes of the "The Love Cape Town Neighbourhood series" include Kalk Bay, Cape Town CBD, Woodstock, Constantia, Somerset West, Langa, Khayelitsha, Durbanville, Blouberg, the Bo-Kaap and Mitchell's Plain. "The Love Cape Town Neighbourhood series" was launched by Cape Town Tourism in 2015 to promote and highlight Cape Town's diverse suburbs. The first three episodes were released in September 2015, another three in March 2016, the seventh episode on 15 January 2017, the eigth episode on 07 March 2017, the ninth episode on 04 May 2017, the tenth episode on 16 August 2017, the 11th episode on 16 May 2018 and the the 12th episode on 12 June 2018. Emirates enhances its service between Dubai <> Luanda (Angola)! The largest airline in the Middle East, Dubai-based Emirates, is set to reinstate two weekly flights between Quatro de Fevereiro International Airport (LAD) in Luanda, Angola, and Dubai International Airport (DXB) in Dubai, increasing capacity to five flights per week between the two cities, starting from 01 July 2018. Customers can look forward to a daily service starting from the winter schedule. The flights will be operated by a Boeing 777-300ER with eight seats in First Class, 42 in Business Class and 310 in Economy Class, with 360 seats on offer in a three-class configuration. Kruger National Park: Stevenson-Hamilton Knowledge Resource Centre has been reopened after renovation! The Stevenson-Hamilton Knowledge Resource Centre, situated at Skukuza Rest Camp in the Kruger National Park, has been reopened on 11 June 2018. The Centre was closed to the public for necessary maintenance since September 2017. The Stevenson-Hamilton Knowledge Resource Centre boasts a vibrant reference library and a museum with artefacts from the Kruger National Park's history dating back to the establishment of the Park. The 2018 Men's World Surfing Leagues Championship Tour returns to Jeffreys Bay in July 2018! The 2018 Men's World Surfing League Championship Tour will once again return to Jeffreys Bay in July 2018. The Corona Open J-Bay will take place at Supertubes in South Africa's surfing capital from 02 July 2018 - 17 July 2018. Like in the previous years, the 6th stop on the World Surfing Leagues' Championship Tour forms part of the famous JBay Winterfest (02 July 2018 - 17 July 2018). This year we will also see the Women's Tour in South Africa for the Corona Open JBay Women's event, set to take place from 06 July 2018 to 16 July 2018. The Jbay Winterfest (02 July 2018 - 17 July 2018) is an annual sports and lifestyle festival in Jeffreys Bay. Besides the World Surfing Leagues' Championship Tour, the event also hosts the Oakley X-Over (05 - 06 July 2018), the Funduro (07 July 2018), the Jbay Windfarm MTB Classic (14 July 2018), Endurade JBay X Trail Run (13 - 15 July 2018), Coldwater Classic (08 July 2018) and Skins Fishing Competition (08 July 2018) as well as 12 live music acts who will be performing for free (5 - 7 July 2018 & 12 - 14 July 2018). New image video: The "Spirit of Knysna"! Knysna Tourism started a new destination marketing campaign, #SpiritofKnysna, last week with the launch of a brand new image video. The two-minute video was filmed in Knysna and Sedgefield and showcases the highlights of the Greater Knysna area, including the lagoon, forest and beaches. It was produced by local filmmaker Daron Chatz and the original soundtrack was written and recorded by local musician Tigger Reunert. Enjoy! Windhoek: Two popular Recreation Parks temporarily close for renovations! The City of Windhoek just announced that Goreangab Dam Recreation Park, situated on the eastern shore of Goreangab Dam in the north-western suburbs of Windhoek, and Brakwater Recreation Park (Paaltjies), situated on the outskirts of Windhoek next to the Western Bypass in Brakwater, will be temporarily closed due to renovations. Goreangab Dam Recreation Park: Closed from Monday, 11 June 2018, until Friday, 22 June 2018. The Park will be open to the public on 16 (Saturday) & 17 (Sunday) June 2018. The Park is usually open to the public from 10:00 to 18:00 on Wednesdays and Thursdays and from 10:00 until 22:00 from Fridays to Sundays and on public holidays. It is closed for general maintenance on Mondays and Tuesdays each week. No prior bookings need to be made to use the facilities. Brakwater Recreation Park (Paaltjies): Closed from Monday, 25 June 2018, until Friday, 29 June 2018. The Park reopens on Saturday, 30 June 2018. Air Namibia to launch flights to Lagos & Accra! Botswana to ban plastic bags!